The machine welding process adopts intelligent parameter settings.High control accuracy.Easy to operate. backlit LCD screen, clearly visible at a glance. This machine adopts high-performance microprocessor to control the whole process of welding accurately. firm and beautiful, and achieves the best welding function. A)The machine combined digital intelligent control technology and inverter technology together. high, the arc is stable, the molten pool is easy to control. material and base metal are truly integrated. No traces on the back of the workpiece or only a small trace of welding. welding time.Welding in an instant to complete, greatly improving the welding efficiency. 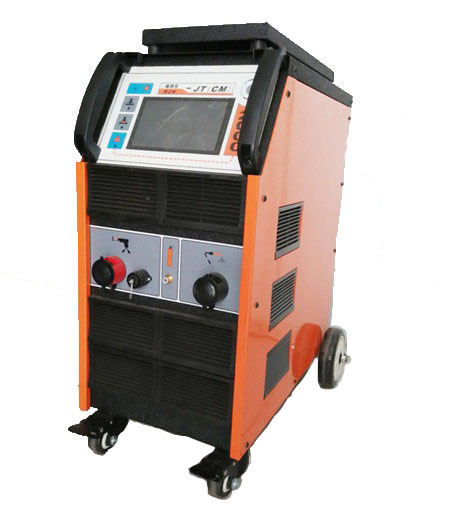 The machine is reliable, light weight, only one-fifth of the general welding machine weight. variety of locations in the continuous welding, to achieve good welding effect.